WTI briefly broke above $60 per barrel on news that a pipeline in Libya exploded, knocking a sizable portion of supply offline. The oil pipeline carries crude oil to the Es Sider oil export terminal, Libya’s largest, raising fears of a dramatic supply outage. Early reports suggest that the explosion was the result of an attack by militants, although the precise cause was unclear. 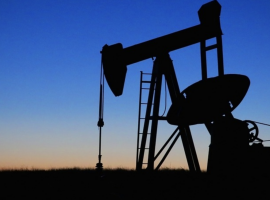 However, Libya’s National Oil Company said that the incident will curtail output by 70,000 to 100,000 bpd – not a trivial amount of supply, but not the nightmare scenario that some oil traders may have feared. The National Oil Company said that Waha Oil Co. "has immediately diverted production to the Samah line,” which will help keep oil flowing. “However, NOC expects a reduction in production of [between] 70,000 to 100,000 barrels a day," the statement said, according to S&P Global Platts. The Es Sider terminal was one of the main export facilities that suffered disruptions in recent years, and its return to operation is what has helped Libya ramp up oil production and exports, restoring shipments to 1 million barrels per day (mb/d) from less than half of that a little more than a year ago. 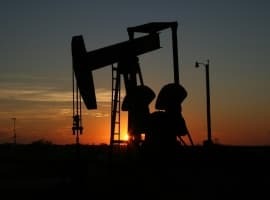 The outage is not catastrophic, but Brent prices jumped more than 2.5 percent on the news, closing in on $67 per barrel, while WTI topped $60 per barrel for the first time in more than two and a half years. The jolt to prices speaks a lot to how psychology can move the market. After all, the amount of supply knocked offline in Libya is about equivalent to the volume added to the global market from U.S. shale in just the past few weeks. And despite the U.S. adding supply in such a short amount of time, prices have posted gains since the start of December. The markets have priced in gains from shale, but they haven’t priced in unexpected outages. The disruption in Libya, as long as the size of the volume knocked offline stays at the 100,000-bpd level, probably won’t have a major effect on the oil market. Indeed, prices fell back after it became clear that the disruption was as small as it is. But the market jitters are magnified by the fact that the oil market is a lot tighter than it used to be. Inventories have dramatically declined, and are sitting roughly 100 million barrels above the five-year average, less than a third of the peak surplus the market saw last year. An outage in Libya could help accelerate the rebalancing process, depending on how long it takes for the pipeline to see repairs. It also comes on the heels of a roughly 400,000-450,000 bpd outage in the North Sea because of the crack in the Forties pipeline. Moreover, a string of geopolitical events in the second half of 2017 acted as price catalysts, a notable change after about three years during which no amount of unrest was able bother oil prices at all. These incidents highlight the unforeseen risks to supply, although in the case of the latter, repairs are expected to be completed in the next few days with a full return to operation of the Forties pipeline expected in January. “Oil markets got a real big reminder of all the different things that can and will drive prices—from investor flows to geopolitics to unplanned disruptions pipelines and refineries,” Michael Wittner, global head of oil research at Société Générale, told the WSJ, referring to the reemergence of geopolitical risk. Investors trading in oil futures are starting to show some signs of nervousness, which makes incidents like the Libya outage important. Hedge funds and other money managers trimmed their net-length in WTI futures for the week ending on December 19, the third consecutive week of a decline. The outage in Libya could stave off a further liquidation of bullish bets, but the return of the Forties pipeline might also pose downside risk. There is "some worry about what next month is going to bring," John Kilduff, founding partner at Again Capital LLC told Bloomberg. "There’s not as much enthusiasm about the OPEC/non-OPEC accord as there was even a few weeks ago." What drove the WTI above $60 is a healthy global demand for oil getting healthier by the hour. The same logic applies to Brent oil. The first law of oil economics is supply and demand. All other factors are extras. The second law is that oil is like a coin: one side is economics and the other is geopolitics and the two sides are inseparable. When there was a glut in the global oil market during the period 2014-2017, the oil price trended downwards ignoring all the geopolitical developments such as the war against ISIS in Iraq, the war in Syria, escalating tension between Saudi Arabia and rising tension between Iraqi Kurdistan and Iraq. Now that the market is re-balancing, any small geopolitical event or an outage of an oil pipeline in Libya or the North Sea pushes the price upwards. The world should start to get used to higher oil prices as the global oil market completes its re-balancing probably by mid-2018 or even earlier. Claims about rising US shale oil production whether true of not will not deter oil prices from rising to a projected $70/barrel in 2018 and probably $100 by 2020. Price action seems a cumulative effect. The Brent pipe is more important but curious that the market is concerned about Waha now after ignoring its importance for years. With any funding and security Waha could easily export 500k bpd from Es Sidr by 2019 when they were at 50k or less about a year ago. How many years and 10s of billions did it take the Permian frackers to get the equivalent? Waha co. Alone could produce more oil and gas than the entire eagleford field, yet Conoco, Marathon oil and Hess have about zero value in their price or balance sheet for assets that are likely worth between 5-10 billion for each company. For Marathon, at least, that would double the company value. So either IB's believe Libya will be lawless for a decade or something else is afoot. Greed, typical oil company greed. Oil price won't print this because it doesn't fit the greed critetia.....pathetic.